One of the biggest challenges many Texas first-time home buyers or step up buyers face is a lack of down payment and the necessary funds for closing costs. However, even with the widespread availability of “no-money-down programs” evaporating in the credit crisis, one national no-down payment program still remains: USDA home loans or Rural Development Home Loans. The majority of Texas communities qualify for this program which could save home owners a considerable amount of money when compared to a FHA or conventional mortgages. In the heartland of America, eligible loan applicants can finance a home for 0% down by participating in the United States Department of Agriculture Rural Development Housing Program. There are thousands of great properties within Service First Mortgage’s service areas that qualify USDA home Loans – zero percent down payment, government-insured home loans that allow you to purchase a home with 100% financing. USDA Loans also allow for all of your closing costs to either be paid by the seller or financed into your loan if the property appraised for higher than the sales price. Financed closing cost are limited to the amount the appraised value exceeds the sales price. USDA home Loans also offer some of the lowest fixed interest rates, and are a great way to finance a home if you plan on living in a rural area. USDA home loan requirements state where you can and cannot live to be eligible for a USDA Rural Housing Loan. A USDA Rural Housing Loan can only be used on properties in rural areas as defined by this eligibility map on the USDA website. 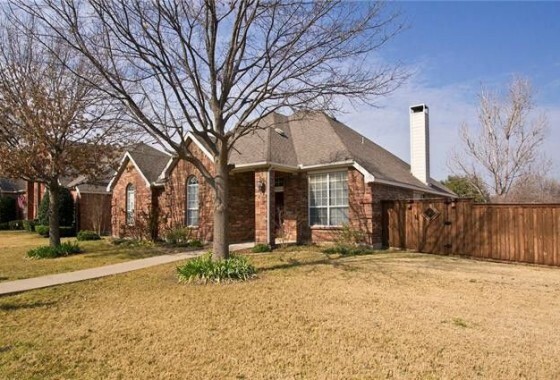 Our team has over 17 years’ experience in helping Texas home owners purchase with USDA loans. Credit guidelines are very flexible for the program. We will make your dream of home ownership come true. Call us today for better rates than your local bank with far better customer service. By coming to us rather than directly to USDA, we can provide faster service and more flexibility to meet your needs. There are several benefits of the USDA loan program besides no money down. Although the program require private mortgage insurance but at a much lower rate than most other loan programs, and the seller is allowed to pay all of your closing costs and pre-paid items up to 6.00% of the total sales price of the property. And while this is great news for first-time home buyers, it’s important to note that you don’t have to be a first-timer to qualify for a USDA loan. Other than the location of the property you’re seeking to buy, there is one other limitation to this valuable program that you must consider: your income. The income limits change from time to time to allow more potential buyers to take advantage of this special program. Like FHA, a government agency sponsors the program, but local lenders handle 100% of the transaction. That means your lender does everything from taking your application to issuing the final approval. USDA puts a final stamp of approval on the loan, and even that is handled by the lender. Get preapproved: Your lender will look at your income, credit, and employment information. 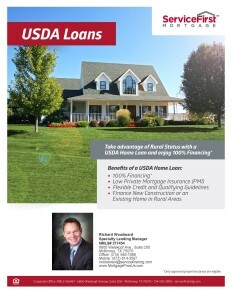 If you meet USDA home loan requirements, you will receive a preapproval letter. Find a house: Use your preapproval letter to make an offer on a USDA-eligible home. Make sure the house is in a designated USDA area before making an offer. Final Signoff by USDA: The lender submits your full loan file to USDA for its seal of approval. USDA closing costs: They do not require additional closing costs above what you would pay for other loan types. In fact, you can pay for 100% of your closing costs with a financial gift from a family member, approved non-profit, or via a seller concession. A seller concession is also known as a seller credit, which is a sum of money given from seller to buyer to help pay closing costs. Typically, the seller can contribute the full amount of closing costs. This helps buyers bring little or nothing in cash to the closing table. Again, these are all fees that you would pay for any type of loan. 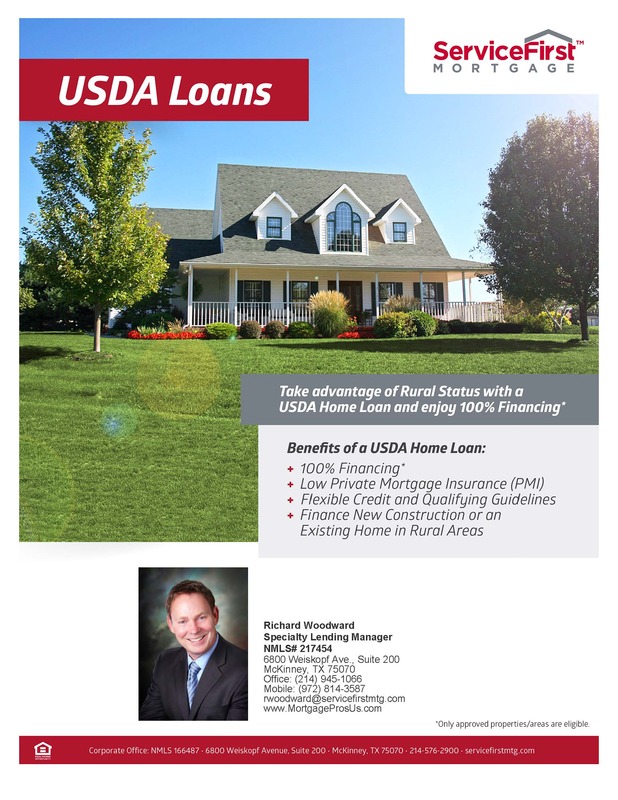 To find out more about USDA loans, give us a call toll free (888) 419-0706. We can have an answer as to whether you qualify for this program in just a few minutes. Click here to apply now! Are you Veteran? Click here to find out an even better NO Money Down mortgage- VA Home Loans.